In this guide you can find information on how to discover Onvif IP cameras on your local network. To implement this example, you need to have OZEKI Camera SDK installed, and a reference to OzekiSDK.dll should be added to your Visual Studio project. 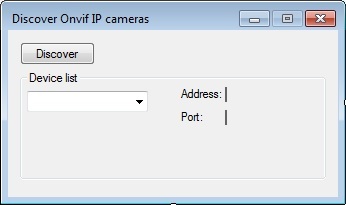 How to discover Onvif IP cameras on your network using C#? Important: you should study this article in order to find out how to setup your Windows Forms/WPF Application correctly.